As a National Lesbian & Gay Journalists Association (NLGJA) member I have exciting news! 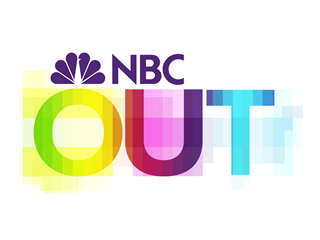 June 1, 2016 - NBC News announced NBC OUT that will provide original content on LGBTQ life and culture. "NBC News has been a strong ally and partner of NLGJA for many years," said Adam Pawlus, the non-profit’s executive director. "NBC OUT is a fantastic opportunity to showcase enterprise reporting, original video and other unique content about and of interest to the LGBTQ community." As NBC News Senior Vice President of Diversity and Talent Yvette Miley noted, "NBC OUT is the first LGBTQ news vertical created by a major broadcast media organization. All summer long, NBC OUT will showcase enterprise reporting, original video, and a range of unique content geared towards the political, cultural, and social interests of the LGTBQ community." NLGJA member Brooke Sopelsa has been named managing editor of NBC OUT. In a letter from the editor posted to the site Wednesday, she wrote: "[o]ur acronym may only include a handful of letters, but the variety within each of them is vast. Keeping this in mind, the NBC OUT team is committed to highlighting content that spans the spectrum - from a profile piece about an intersex millennial to an article about cisgender, black gay men in history, and a multimedia report about a Thai immigrant who started a transgender modeling agency." In a letter from the editor at www.nbcnews.com, Brooke Sopelsa said " I truly believe it will take a village - or better yet, a community - for NBC OUT to reach its full potential." Follow NBC OUT: Twitter, Facebook and Instagram. So while it's true that the people make an event (and the people definitely made any event!) this space definitely adds a different dimension to it. Went to San Francisco venues for an evening event and I was really impressed.